Fruit Warp is a slot like I’ve never come across before – powered by Thunderkick, it has no reels or paylines as a selection of fruits float on the screen. The key is to get combinations of 3 fruits of more. If you get a 5 of a kind, this will trigger the Fruit Mode where a Warp Meter appears to multiply your wins – you can win very big here too! When is a slot not quite a slot? When it takes the form of Fruit Warp, a brand new game from Thunderkick which combines some beautiful graphics with some creative gameplay to produce an innovative and very high quality machine. If flying fruit has been missing from your life recently then this game may just have the answer – read on for more information. Fruit Warp has no reels or paylines as such and so we’ve categorised it as an arcade game rather than an online slot. Load it up and after watching the explanatory intro movie you will be faced with a screen showing nine pieces of fruit floating on some sort of liquid green background. Click spin and a new selection of fruit will be propelled towards you from the distance. The aim of the game is to land three or more of the same fruit to win money and to activate the bonus feature. The nine symbols are all fruit and these are cherries, plums, strawberries, oranges, bananas, grapes, starfruit, kiwano melon (we had to look that up) and dragon fruit. The way to trigger the bonus features is to land four or five of the same type of fruit on any single spin. Five fruit will take you straight to the feature (more below) but if you land four, those will remain in place while the others respin (Portal Respin). Land another to match those frozen symbols and you will now have five, enough to start the main feature. Fail and it’s back to the main game. The main feature will start automatically when you have those five symbols (it’s all in the video above). A scale will appear underneath the fruit and you must try and work your way along this, collecting multipliers until you reach the end. The way to move along the scale is to land at least one of the fruit which triggered the feature on each spin. You may also be lucky and collect an extra life which will give you an extra spin if you fail to land a matching symbol. This is an absolutely lovely game to play; it’s incredibly simple but really compelling at the same time. the graphics, animations and sound effects are top notch and we insist you give it a go. I like the graphics of the game it’s so crystal clean seeing those fruits, but not having some bonuses or free spins I don’t think I will enjoy this game, so another Thunderkick game which my experience was from free spins. 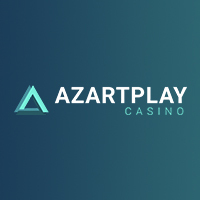 But like always what’s gonna happened with 10 free spins with 0.10 euros per spin, well I think nothing, so better try it with my money! This new Fruit Warp slot has no active lines,no reels, well that’s the way I see the game, so the fruits just appear on the screen and waiting to winning combination to come and those fruits explode till you catch some winning combination. There are some rare fruits in this game, there the Banana Berries, Strawberries and some few more. Catching 4 or more fruits on the screen then you have chance to win, well something, because every next Fruit appear will just multiplies your bet, well depends what fruit you will trigger. So no free spins, no bonus round I think that this type of games are not such interesting for me, well so far no. 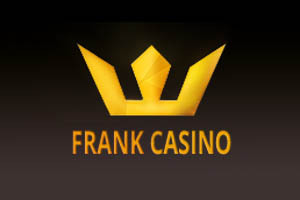 The first time I was playing with my money was in Casumo casino, well I tried all Thunderkick games in this casino first and they were just eating my money so I have won nothing bigger than 7 euros. The second time I played this game at Mr. Green Casino and, can’t believe I was catching all the symbols with the lowest winnings like the Banana feature. I was playing this slot more than 1 hour, because I deposited 25 euros and took 125% match bonus, so I spend all 62 euros on the same game, but didn’t trigger nothing bigger than 18 euros, which is nothing, compared to 1 hour of playing. So officially I think I am done with all this Thunderkick games, because, so far I have tried them all and I lose every time I play this kind of slots. Might be good don’t know, but maybe they are not my lucky slots. 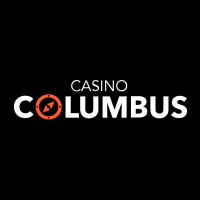 I took the courage to play at a second slot from Thunderkick casinos. And well I did because as weak was the first slot (“Birds on a Wire”), as good and successful was this second slot “Fruit Warps”. This slot is simply fantastic in every aspect it can be. First, this game idea I have never met before. From somewhere far behind the slot, an unseen hand randomly throws 9 fruits on to the screen that lands just on random positions (there is no classical 5 reels x3 lines slot here!). If there are 3 fruits of the same kind, whatever their position on the screen is, then you have an easy win. If there are 4 fruits of a kind, then they are kept and for the other fruits is given a “respin”. 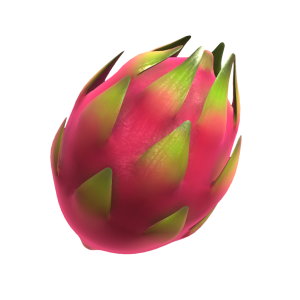 If there are at least 5 fruits of the same kind the slot is entering “Warp Fruit” mode. In this mode, at the bottom of the screen there is a warp meter containing along it 3-4 multipliers and/or “lives” each one of these separated by 3-5 steps. A second “respin” for all fruits happens and if there is at least one fruit on-screen of the same type as initial the warp meter is advanced an appropriate number of steps. If there are “3 of a kind” different fruits (than initial) the value of the multipliers embedded in the warp meter is advanced. The game stops when warp meter is full or when there are no fruits on screen as in the initial combination (assuming you have no “lives” remaining). As concerning the payouts and wins the slot is again very good. There are 9 kinds of fruits that pay 1-10 cents for “3 of a kind” and 10-40 cents for “5 of a kind”. In warp mode, an average multiplier of 10x is achieved (although the maximum I had was 24x) and thus one can easily win 5-10 Euro from a single spin. For a bet of 10 cents, you get a combination of 5 fruits + Fruit Warp mode once every 10-30 spins so the wins are just beautiful. In the first 50-100 spins I had 5-7 Fruit Warp modes and almost 14 Euro won this way from 2 “Mega Wins”. The slot is very pleasant and exciting to play so that in my opinion it can rival with many of the best slots that I played so far.